 At Residential Elevators, we provide quality service for Home Elevators in Miami, FL. From new elevator installation to an elevator service upgrade, we cover everything. We deliver excellence that elevates your living with the most reliable elevator service in Miami. Residential Elevators will install a home elevator into your dream home. This increases the value of your home in Miami, FL. As a family-owned company, we have been providing the best elevator service for over a two decades. At Residential Elevators, we deliver that most comprehensive elevator service in all Miami, FL. We provide impeccable customer service representatives, elevator cab builders, and installation technicians. From start to finish, you get only the best Home Elevator service in Miami that is exquisite and reliable. 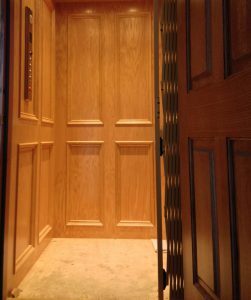 Every one of our in-home elevators is meticulously crafted to ensure the highest level of safety and quality. You decide whether you want it to be the centerpiece of your home or tucked away in a conveniently hidden area of your home. Our Home Elevator Service in Miami lets you customize your in-home elevator. Only our elevator cab designers can deliver the design of your dreams for your Miami Home. Select from a wide variety of elevator cab series as well as interior finishes. That includes wood species, ceilings, handrails, fixtures, and gates. Our in-home elevators are not only beautiful but durable and safe. We have the ability to perfectly craft any in-home elevator that matches the interior of your Miami home. Our in-home elevator will reflect the lifestyle and vibrancy of your home in Miami. The level of luxury it adds to your home is incontrovertible. That is because we deliver the highest quality designs, craftsmanship, and installation services in Miami, FL. At Residential Elevators in Miami, we offer a variety of home elevator maintenance plans. Yearly maintenance is always recommended for elevators to stay in optimal working condition. We provide plans that are tailored to meet the needs of every customer and every elevator. Safety is the top priority and has been from the beginning. We only use top of the line technicians that utilize the latest technology. We also implement a whole-system safety circuit in all our elevators. Essentially, if one of the safety features is not working, neither will the elevator. Additionally, our in-home elevators come with a back-up battery system in case of the event of a power loss. For the elderly or handicapped, an in-home elevator is the perfect option of convenience. Our home elevators in Miami provide safety as well as accessibility. If you want an elevator with wheelchair accessibility, we have you covered. This eliminates the risk of any injuries that could have been easily prevented. Whether you are looking to add luxury or safety to your home, our in-home elevators provide it all. Residential Elevators is an industry leader in providing the most reliable in-home elevators in Miami FL. Regardless of your project size, the outcome will always be impeccable. To schedule a consultation for your new home elevator in Miami, contact us here or give us a call at (800) 832-2004.